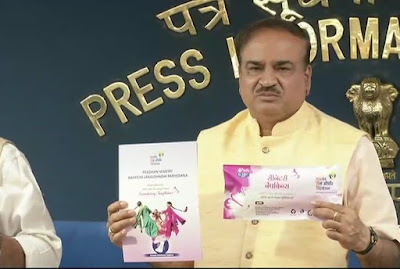 The government of India has launched the ‘JANAUSHADHI SUVIDHA’, the Oxo-biodegradable Sanitary Napkin, under the Pradhan Mantri Bhartiya Janaushadhi Pariyojana (PMBJP). Suvidha sanitary napkin was the first biodegradable napkin in the country that comes with much higher cost of at least Rs 8 per piece, takes 500 years to degrade in nature. Suvidha napkins degrade with soil within three to six months. SUVIDHA’, the Oxo-biodegradable Sanitary Napkins are provided under which of the following schemes?